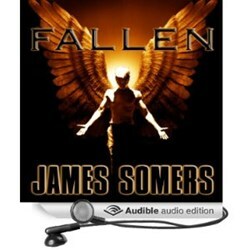 The incredible story of 17 year old Brody West’s discovery of a world where fallen angels with strange powers exists has been brought to life in a new scifi audiobook by SciFi Publishing. James Somers is the author of more than a dozen Sci-fi and Fantasy novels available on Kindle including: The Descendants Saga, The Serpent Kings Saga, Percival Strange, Perdition's Gate, and The Realm Shift Trilogy. Upcoming novels include sequels for The Descendants Saga, A prequel trilogy for Descendants and more! In addition to writing, James serves as the Pastor of Ozone Baptist Church in Rockwood, Tennessee and also works in Knoxville as a Surgical Technologist. He is married and have five children. James is always open to questions and comments from readers at http://www.jamessomers.blogspot.com where updates can be found on his novels.